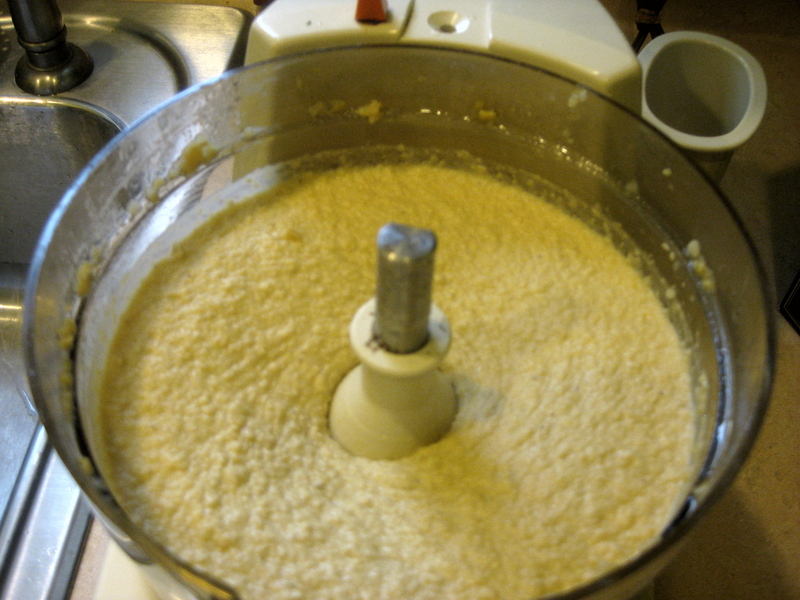 Don’t laugh if my food processor looks like it came from a “Golden Girls” episode. If you look closely while the girls are eating cheesecake in their kitchen, you’ll see this one’s twin on the counter near the sink. Mine is inherited from my mother, Betty. 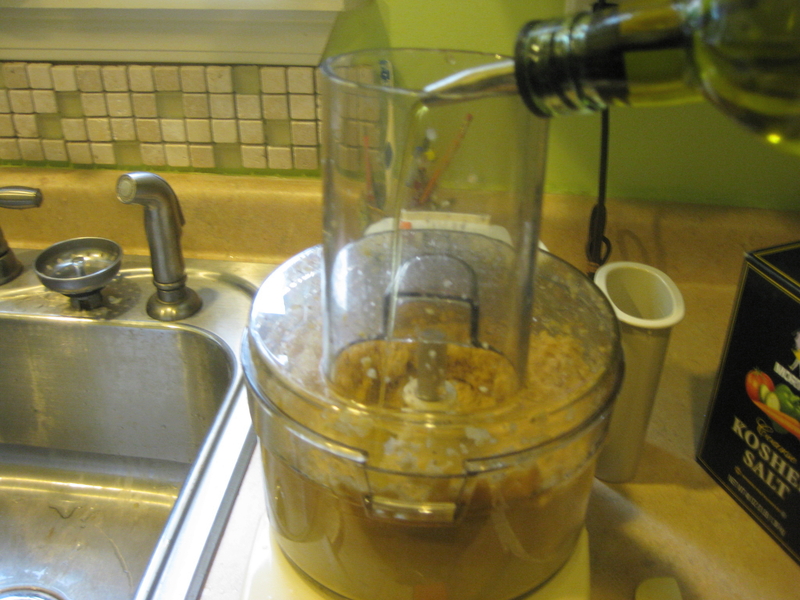 She never envisioned it would be used to make hummus, which I’m almost sure she never tasted. Most of us have come to love this Mediterranean/Middle Eastern condiment, which is readily available already prepared. But I prefer to make it myself to add whatever flavors I’ve got a mood for – garlic or dried oregano or fresh parsley or whatever else suits you. I suspect pineapple might even be good in it. That’s a weird idea. 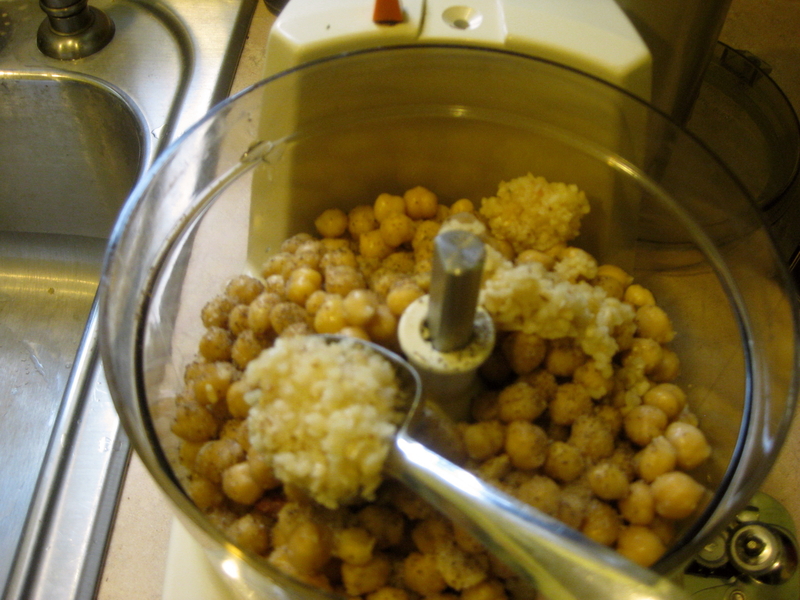 Into your food processor (with just the small slicing blade), pour your drained/rinsed chick peas. Sprinkle salt/pepper, rest of ingredients except olive oil. Put the cover on your processor, then, pulse until it looks like cornmeal. 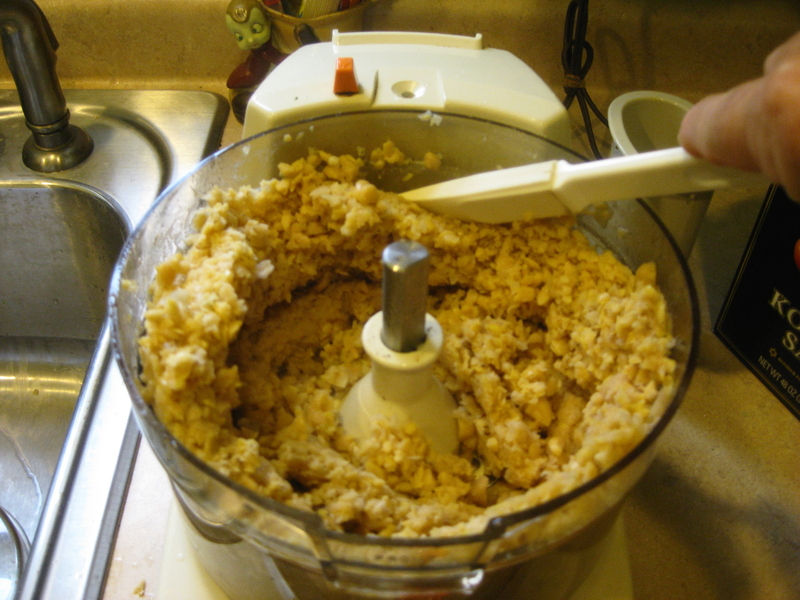 Scrape the sides, then into your processor’s cover-tube start to drizzle olive oil until it’s the consistency you want, somewhere between chunky and creamy peanut butter. You may want to scrape again. Taste and adjust flavors, if needed. Remember, this mixture perks up to full flavor after it’s been refrigerated at least an hour. 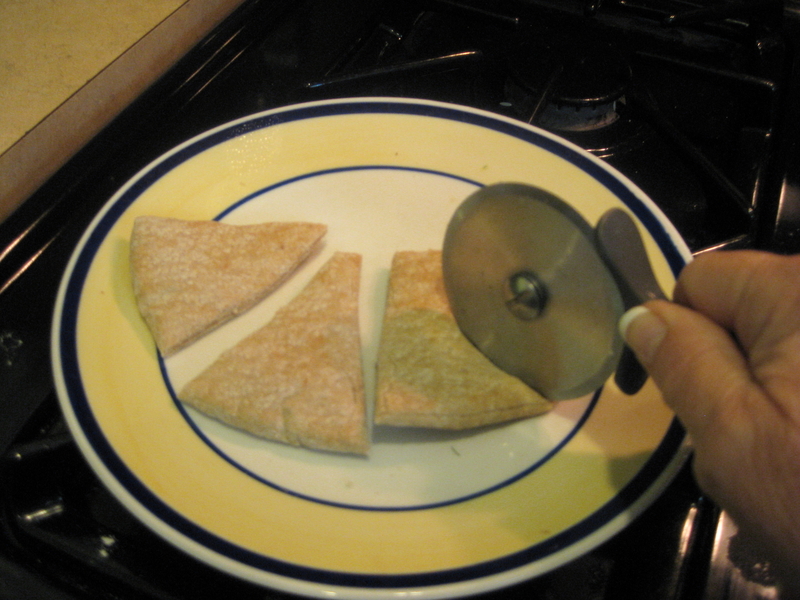 Serve with pita wedges or pita chips. 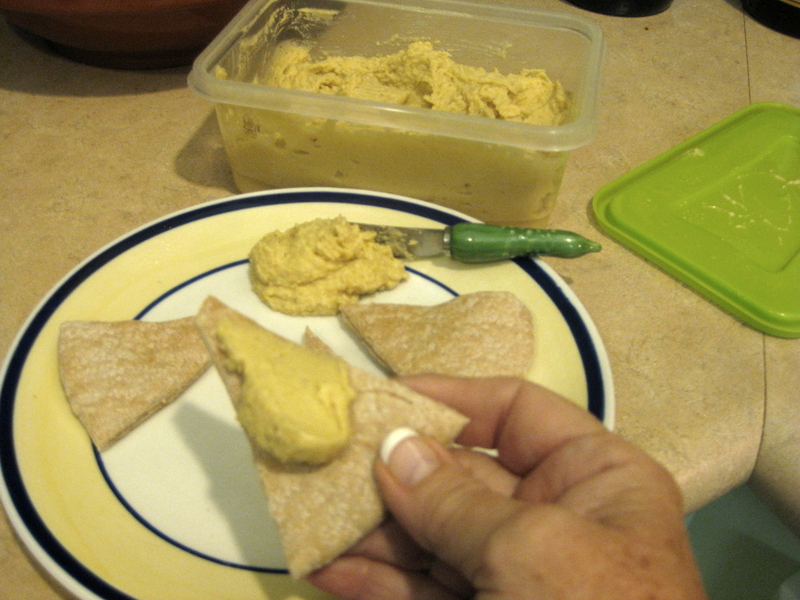 Hummus also is a great substitute for mayo on your summertime sandwiches. And it’s the traditional side dish with tagines and other spicy foods because it’s tasty but usually not so bold. 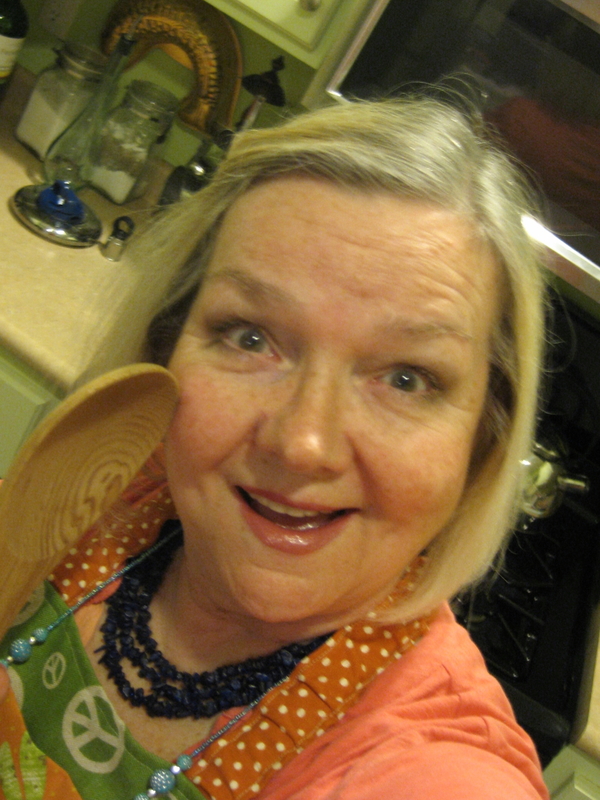 Fancy, traditional cooks pour a little olive oil over the top when serving it from the kitchen.